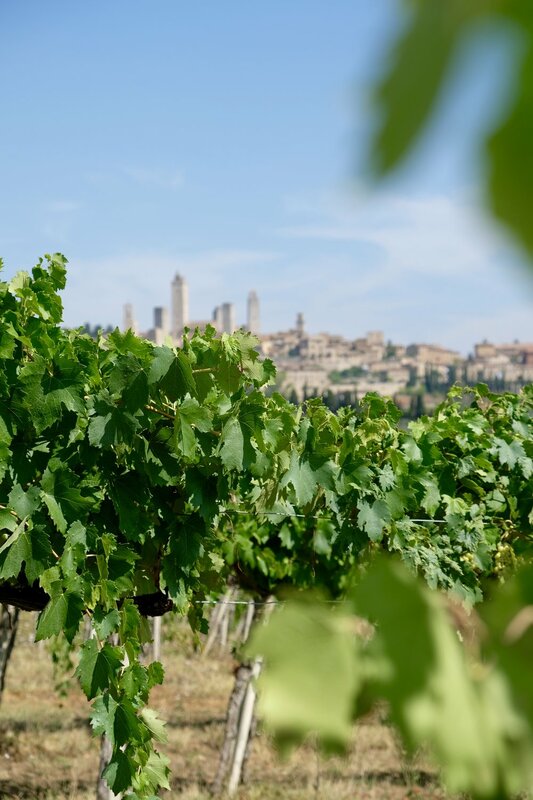 Savor the gold of Tuscany with this culinary wine tour in San Gimignano, home of prized saffron and Vernaccia wine, the Queen of Tuscan white wine. What grows together, goes together! The rich, aromatic flavor of saffron is a perfect partner for the fragrant Vernaccia wine with notes of almond and crisp acidity. Vernaccia di San Gimignano is a noble wine riddled with history, the first wine to be given DOC status in 1966 and its consumption documented since the Medieval ages, and mentioned in Dante's Divine Comedy! Enjoy this fully escorted wine tour from Florence with a fun & knowledgable English speaking driver. You'll lunch at a farm where saffron is harvested amidst the scenic Tuscan countryside with wine, visit the town of San Gimignano (the city of towers, the Medieval Manhattan of Tuscany) with the option to get a frozen treat from a gelateria crowned "Best Gelato in the World" and spend the afternoon wine tasting with the winemaker alongside a spread of artisanal cheeses & cured meats. This culinary tour is deemed the “gold” of Tuscany since Vernaccia wines tend to hold a golden hue and saffron is as expensive (and precious) as gold, in certain cases! Eat and drink like Medieval royalty on this very unique culinary tour in San Gimignano! DETAILS: Departure time: 9:30am (duration: 8 hours) Meeting location: GROUP tours: Piazza Tasso (exact address sent upon booking) PRIVATE tours: from your doorstep or lobby. Days: Daily INCLUSIONS: Escorted transport in comfortable climate controlled vehicle, all tours provided in concise English, stroll & gelato stop in San Gimignano, wine tasting in Tuscan wine country, food matchings, cellar tours, light lunch with wine, afternoon wine tasting flight with snacks, scenic stops for photos and personable, knowledgable English-speaking driver. Group Tour Cost: 185eu per person group rate (max 6 people) Private Tour Cost: Please Inquire. Cost depends on group size and request. Not included: Travel insurance, extra hours, additional tastings and trip cancellation insurance.